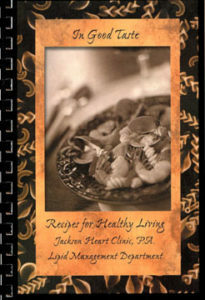 Provide a testimonial and you could win our Heart Healthy Cookbook! Simply complete the testimonial form below to tell us your Jackson Heart story. See sample recipes from our cookbook. Note: Winners are randomly selected. I have received excellent care from Dr. Brett Bennett and his staff. I always feel as if I am the only patient he has. He takes time to answer my questions. Very blessed to be his patient. Always courteous and pleasant Staff. Love Dr Harkins and trust his judgement. Attending doctors and nurses and other crew were very responsible care takers and they were experts in their jobs.They took care of me like their own and I take pride in their professionalism May God bless them forever. Thanks Dr Sandra and Dr Gray Bennett. I had a good visit with Dr. Colley and nurse. They took care of me and feel better now about my situation. I have been with the clinic since my dad James M. started using Dr Stone. He always made my dad smile. Now that I am a patient I am expecting the same kind of great treatment that I saw my dad receive. Echo technician was really nice and quick. Dr. Crowder takes time to allow you to express to him any concerns you may have. I didn’t feel rushed. A little bit of a long wait to see doctor but worth the wait. Dr. Lott always gives me the “exacts” on what is going on with my heart. Staff is always friendly and most courteous. Jackson Heart is where to go! Very positive experience! Nice, helpful staff! Dr. Fletcher is the greatest! Wait time was short! Thanks so much! I would recommend Jackson Heart Clinic to everyone, Dr. Stone, Lynn Vincent and the staff are caring people they care about the patients they put a little love into doing their job it was just what I needed. I Thank God. I have a great experience each time I visit JHC. The staff are wonderful and Dr. Young is the best. To journey through any heart procedure is scary but they helped me feel relaxed and kept me well informed. Everyone was so friendly and knowledgeable. Waiting time was minimal and nurses and doctors were fast but thorough! Dr. Harkins is the best! We went for a yearly check-up. The staff was very efficient and we were in and out within 30 minutes. Dr. Chustz was encouraging and informative. Dr Guynes is wonderful. He takes time to listen to any concerns I may have. Staff outs very helpful. They are highly recommended. Dr. Hays and JHC Professionals work together seamlessly. This allows me confidence in all they do. Heart cath showed problem with original year 2000 bypass which resulted in a stent. Team worked well together and I knew they had me covered and cared for start to finish. Dr. Clay Hays & staff are wonderful, caring people. They treat patients like family and go the extra 100 miles to be sure we are well taken care of. I’d go no where else for care. This first appointment with Dr Colley was excellent. His staff was professional and courteous. Minimal waiting time. And Dr Colley was personable and he communicated well. He changed my med and AFIB that had b en very frequent, immediately subsided and has not returned. I’m very very pleased that I’m seeing him now. Dr. Cotten is very through. He answers your questions and will check out any concern or problems you may have. I have been seeing Dr. Guynes for several years and have always been pleased with my care from Dr. Guynes and the professional staff in his office. I am very pleased to still be able to see him at the Lakeland Drive location. This is more convenient for me. Dr, Mulholland was very easy to talk to, and was very reassuring. All other personnel and nurses were very pleasant. Positive experience, timely with very little wait time. Capable and compassionate caregivers. 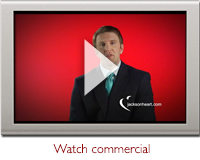 You know your heart is in good hands with Dr. Fletcher and his staff. Everyone was kind and professional. Dr Gray Bennett explained my medical condition in terms I was able to understand, a rare commodity in a doctor. I was dreading this visit, as I normally do not care for Cardiologists. Dr. Bennett was able to change my mind on that point. I am so grateful for the wonderful care I received from Harper Stone. We are so fortunate to have such an outstanding doctor as Harper in Jackson!! Doug Harkins is such a gentleman…. my favorite doctor. I always feel comfortable around him. And he has very likely saved my life!